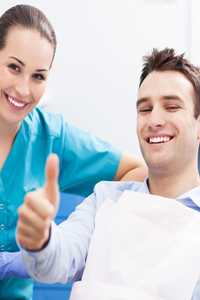 At the Center for Advanced Dentistry in Beachwood, we are dedicated to the practice of holistic dentistry. That means we take into consideration the effect that your dental treatments will have on the whole body. One of the services we provide is the safe removal of toxic mercury amalgam fillings. Once they’ve been removed, we also need to repair the tooth. Our skilled dentist and dental care team offer biocompatible, non-toxic dental fillings to ensure your smile is fully repaired without introducing toxic substances to your system. If you want to find out more about the removal and replacement of metal-amalgam fillings or safe non-toxic restorations from our team, please call our Beachwood dental practice to schedule an appointment. We’ll be happy to examine your smile and partner with you to create a personalized plan for removal of potentially toxic metal-amalgams as well as restoration using always safe and non-toxic materials. Metal-amalgam fillings are crafted from 50% mercury, 35% silver, and 15% “other” metals. All metals contain some compounds that are toxic to the human body. However, mercury is easily one of the most toxic metals even more toxic than cadmium, lead, or arsenic. Many dentists who are still in support of metal-amalgam fillings tell patients that they will not suffer any of the adverse effects of mercury toxicity because the material is not in its vapor form. However, each time you chew, brush your teeth, or consume hot foods and drinks, you are putting yourself at risk for mercury vaporization. Additionally, the effects of mercury toxicity are cumulative, so you may go years without noticing any adverse health effects only to suffer from severe mercury poisoning. Like metal-amalgam, composite resins are made from a variety of plastic and glass materials. 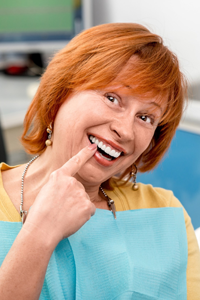 Unlike amalgams that have the same basic makeup, we have much more control over the materials used in the composition of these tooth-colored resins. Unfortunately, some dentists will use whatever composite resin is most readily available. However, not all composites are made from completely safe materials. As is the case with mercury amalgams, many dentists believe that once the composite is hardened into place it will no longer leach toxic materials. While the leaching of the toxic plastics like BPA and Bis-GMA is diminished once the materials are hardened into place, this leaching does not completely cease, and it can lead to numerous health complications. In fact, these materials are endocrine inhibitors that can have numerous adverse effects on development, reproduction, and neurology. Endocrine inhibitors can also weaken the immune system. We use composite resins that are made of only the safest and most biocompatible materials. We want our patients to lead healthy, happy lives, and reducing the toxins in their system is essential to helping them achieve the optimal level of oral health. The placement of these biocompatible composite resins is quick, comfortable, and conservative. We begin by preparing the tooth. This may include our safe amalgam metal filling removal or simply removing decayed or damaged parts of the tooth. Then, we apply the biocompatible filling material to the tooth. The putty-like resin is easily shaped into position, seeping into the deepest pits and grooves in the tooth’s surfaces. Once in place, we use a curing light to harden the composite into position.